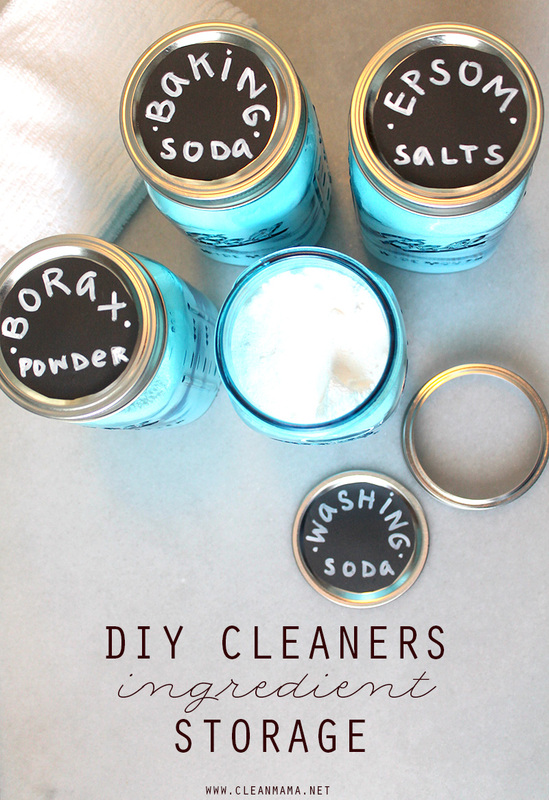 I was looking for a little revamp in the organization of my DIY cleaners ingredient storage and came up with something that I thought you might like too. 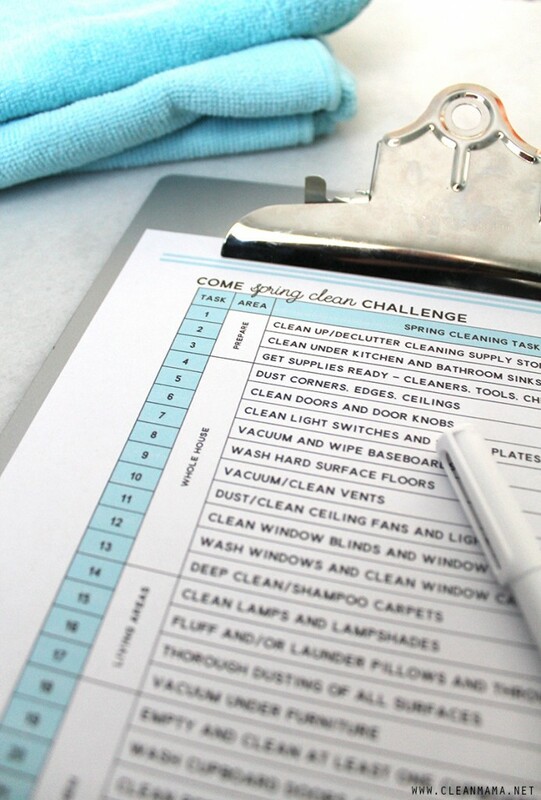 I’m doing a little organizing before officially starting my spring cleaning (get your Come Spring Clean Challenge checklist here). You’ll notice that the first item on the checklist is to clean up/declutter cleaning supply storage. I’ve re-organized my cleaning closet (it’ll be on the blog soon) but a fun mini-projects was to transfer cleaning powders into large canning jars. Doing this freed up space and made the ingredients more easily accessible for me. Each of the boxes and bags were half-empty and taking up a lot of space, so it was the perfect time for this project. Make sure the containers are clean and dry. Transfer powder into container. 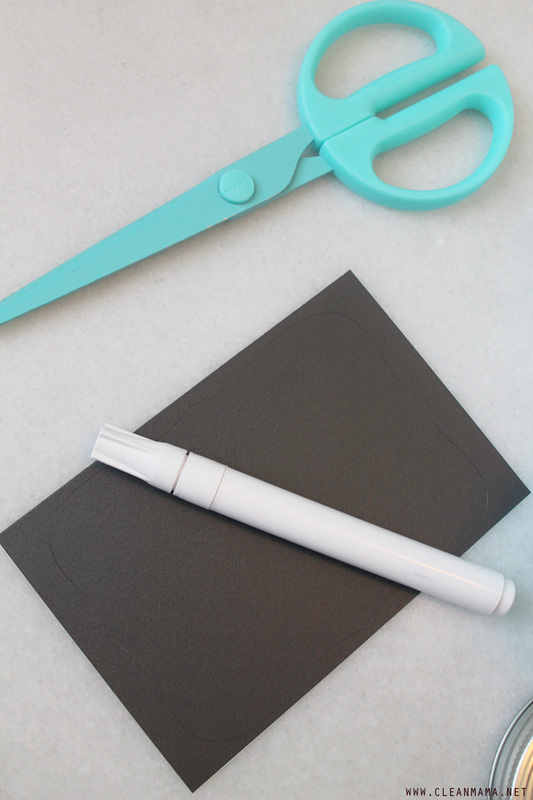 Cut chalkboard label to fit lid and label with a chalkboard marker. 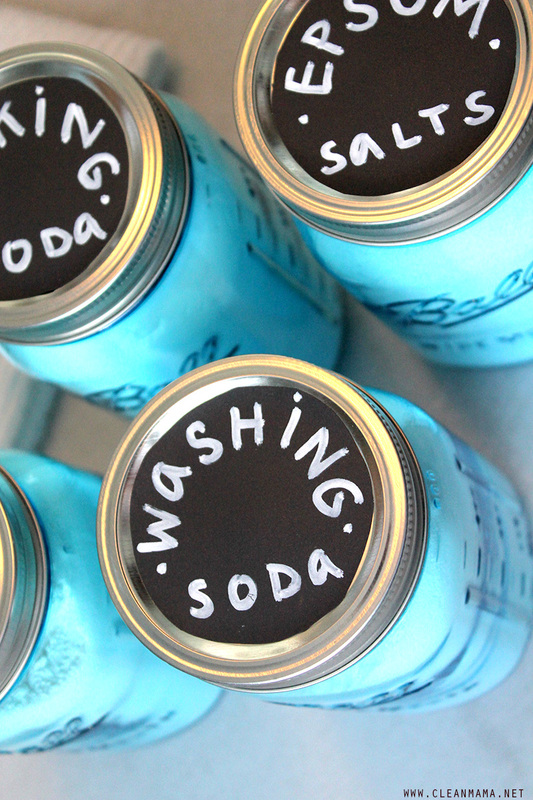 You could also use a hang tag, washi tape, or a label maker. Put in a safe place, out of reach of children and pets. Are you joining in the Come Spring Challenge? 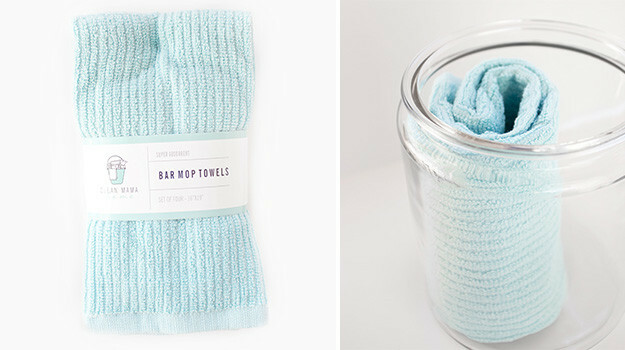 Want to up the cute factor in your cleaning? 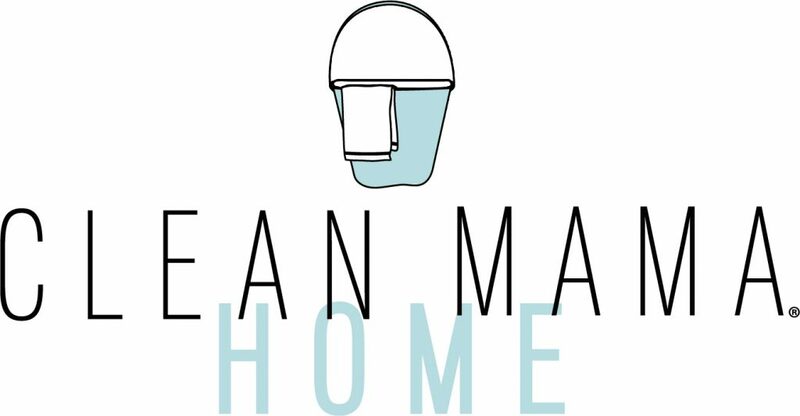 Check out my brand new shop and product line, Clean Mama HOME! 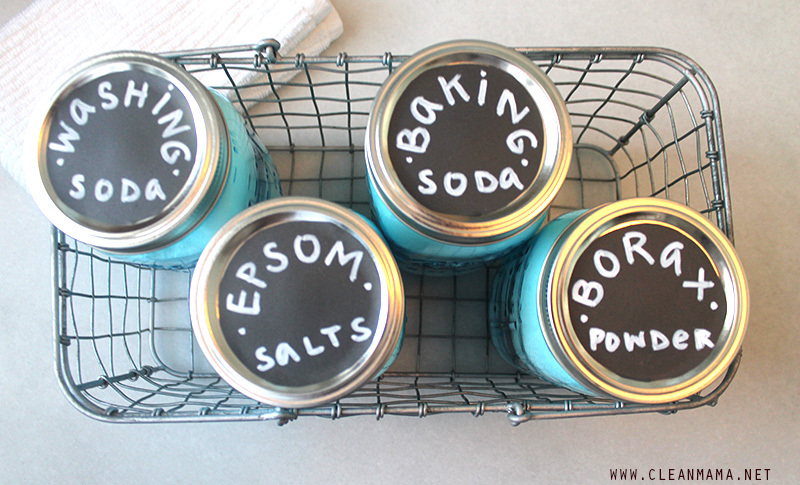 I love using mason jars for storage ( I use them all over my kitchen) but I never thought of storing borax and baking soda in them. How cute!! Also, I haven’t seen the aqua jars in quarts ! Off to buy them. Now if they will only make the half gallon jars in the blue. The 1/2 gallons are staples for me and I would love to have them in blue. 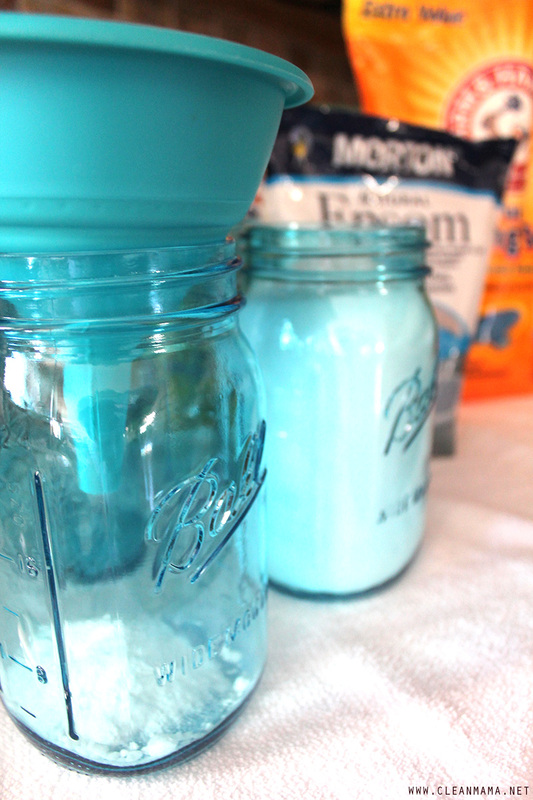 I love the look of the aqua jars! My laundry room has been looking kind of dismal lately – maybe I’ll try out this project. What a coincidence: 2 cases of qt. mason jars, purchased from Target online, were delivered to our front door yesterday! The best prices … and free shipping. 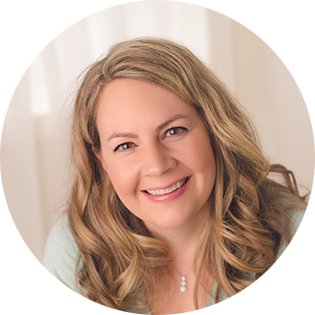 I love Clean Mama’s newest column on DIY Storage. 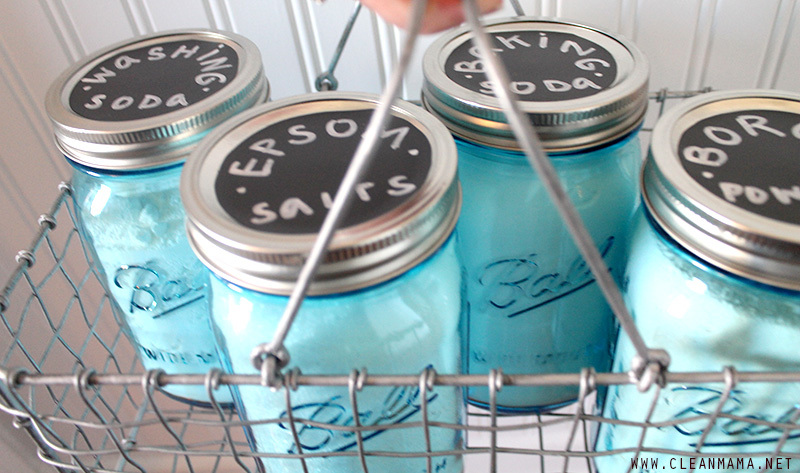 We store everything in glass jars! I started that campaign in my home several years ago. When we purchased a summer camp 3 years ago, it was a given. Because of the occasional dampness, we repackage everything, and there has never been an issue! 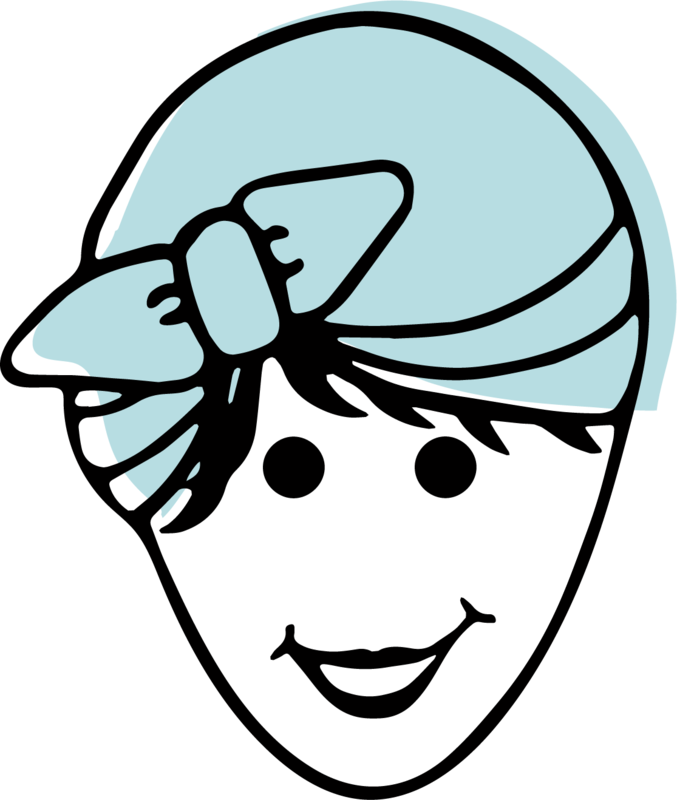 Tomorrow morning – I will repackage the sodas, powders, and salts and join Clean Mama’s Army. What a great idea! Genius! Where did you get the wire basket to store the jars in? Where did you get your chalkboard labels? I’ve been keeping my DIY cleaning ingredients in a bucket. This is WAY cuter! Adding this to the to do list! Very Cute!! Now please tell me how you use all those wonderful products! :) And do you do 10 drops of each Clove and Lemon? Or five each? Thank you! I like your small clear spray bottles. Where do you get them? I love the Storage idea. I paint my lids with chalkboard paint of all colors then write on it.